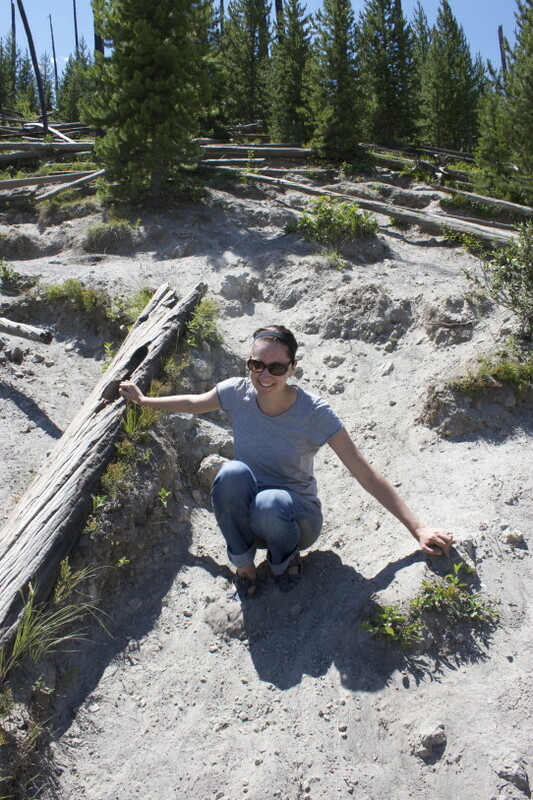 We don’t usually do much hiking while we are in Yellowstone, what with all the bears and wolves. Typically we stick to the boardwalks and scenic drives to stay safe and make the most of our limited time. 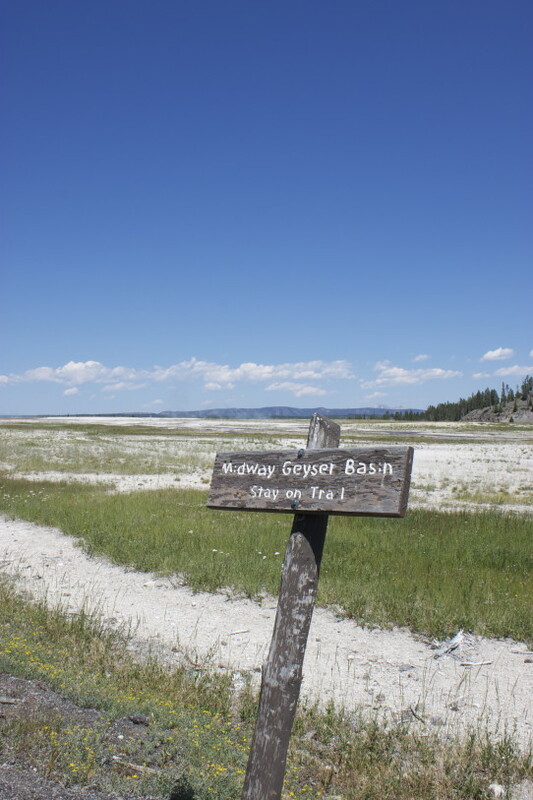 That is, of course, unless we hear about a spectacular and lightly traveled hike to catch a view of one of most impressive features in the entire park. We heard about the Grand Prismatic Spring overlook hike from an Instagram friend and we quickly decided we should to try it. So, on our 2013 cross country road trip we decided to give it a whirl! 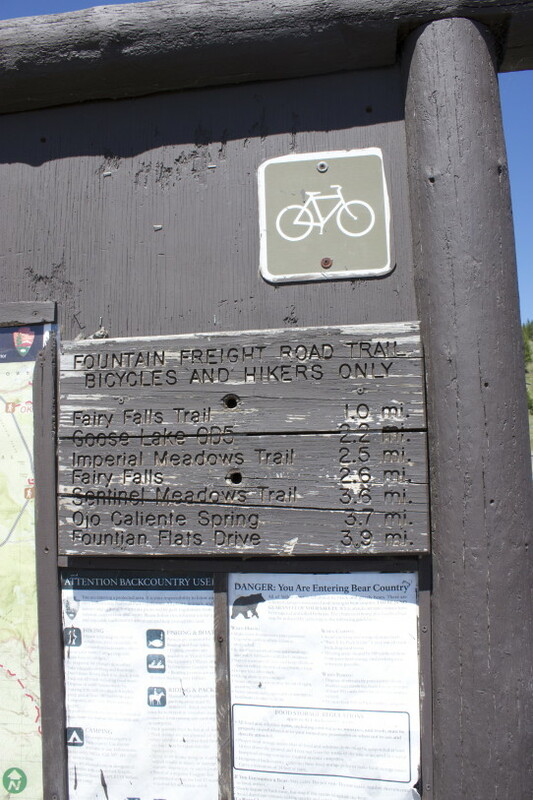 This is the sign from the Fountain Freight Road trailhead, which is has a small parking lot located just south of the Grand Prismatic Spring boardwalk parking lot. 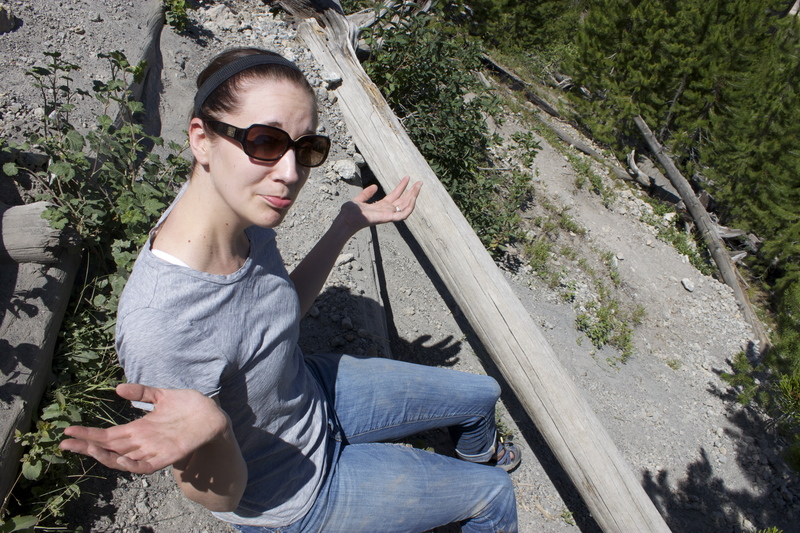 You’ll be taking the Fairy Falls Trail but you won’t actually make it all the way to the falls. Tempting as it may be, stay on the pavement for this portion of the hike! 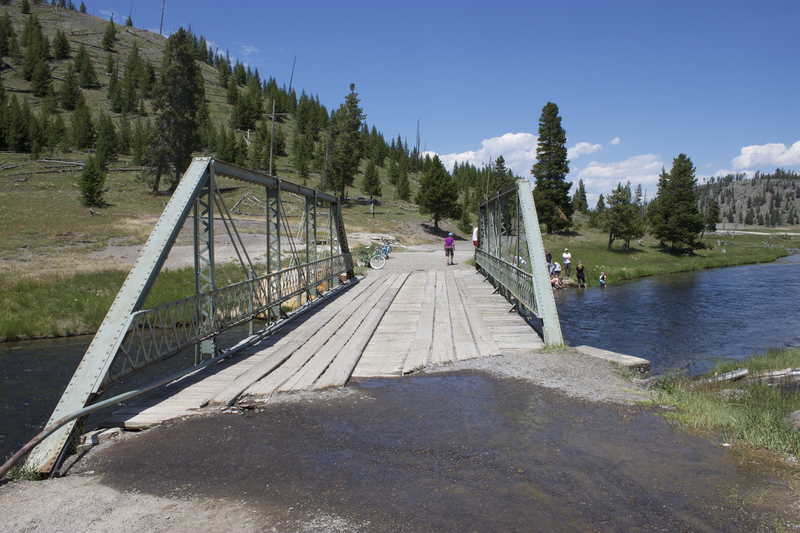 You’ll cross a small bridge to get to the other side of the Firehole River. 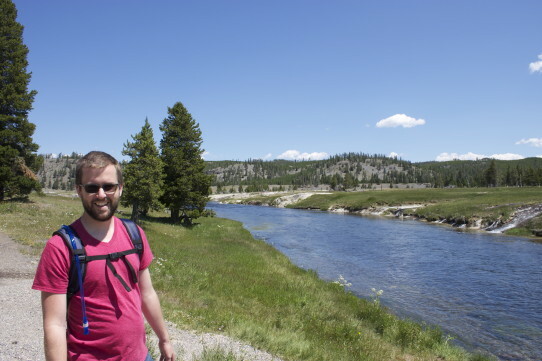 It looks like Mark hopped off the trail to get close to the water, but we promise he didn’t. We stick to the rules. Much of the first half of this hike looks like this. It’s a smooth and wide paved trail with very little incline. After 3/4 of a mile or so you’ll see a dirt path off to the left that looks like this. 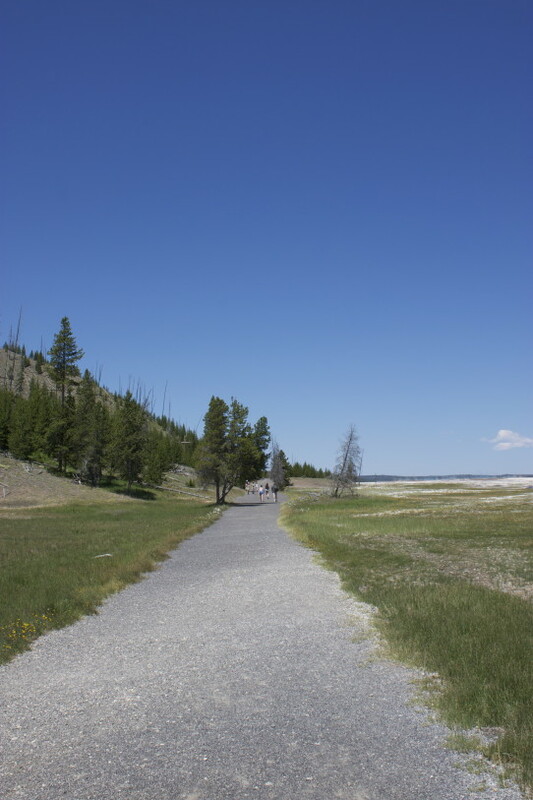 It’s a foot path that has been worn over the years by adventurers like us who longed for a better view of Grand Prismatic. As far as we know, there’s no official name for this portion of the trail. 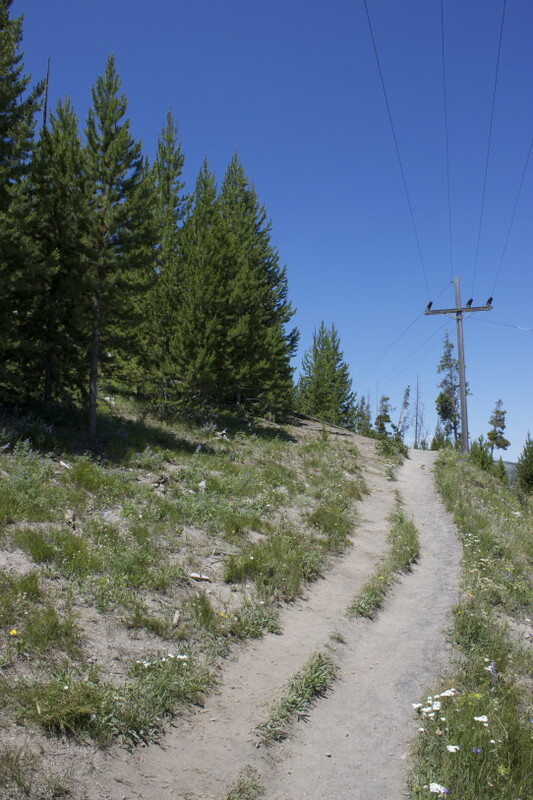 The trail quickly turns from flat and paved to steep and dusty. Don’t fret though, you can do it! Lace up your boots and press on! Christy immediately started to regret wearing open sandals. 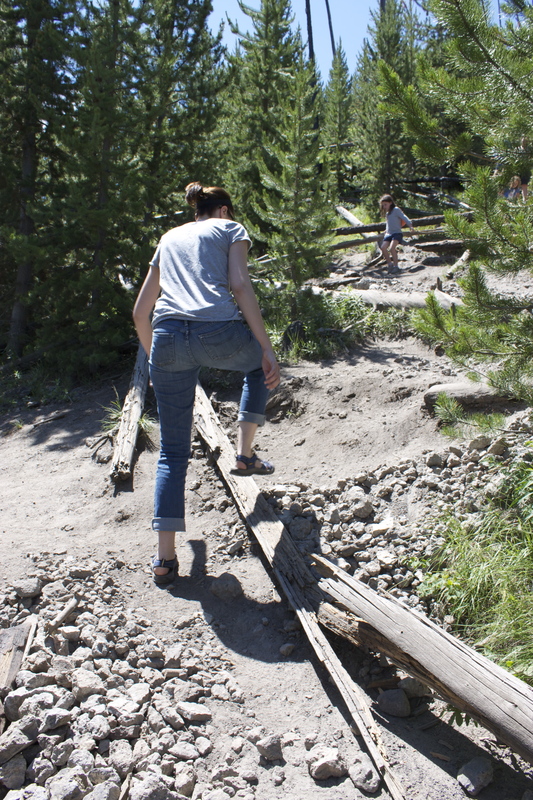 Consider this fair warning to wear boots or hiking shoes. Now that you have a picture it’s time to move on. Unless your shoes are inadequate and you’re tired of slip-sliding down a mountain, then you can sit down and take a breather. Christy certainly wanted to make it to the top, but it just wasn’t going to happen so Mark headed up the rest of the way solo. 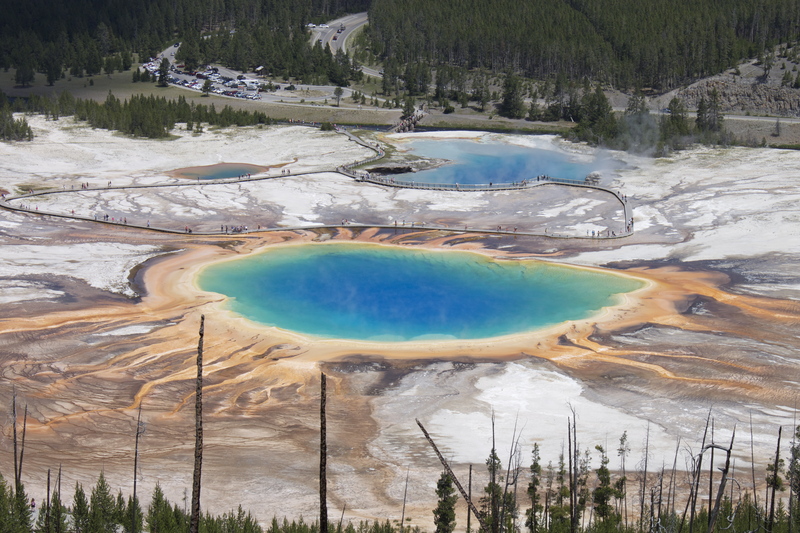 Here are several pictures from the top of the Grand Prismatic Spring Overlook. As you can see, the view isn’t much better than it was halfway up so don’t feel bad if you can’t make it. It wasn’t easy going up this trail and coming down was no picnic either. It’s not too scary, but you certainly have to use caution. Look for sturdy objects to use as strongholds as you make your way down and take breaks as needed. And if you’re hiking with a buddy, make sure you stay close so you can help out if necessary. She’s smiling…but she’s kind of freaking out. Here’s that bridge we mentioned earlier which takes you across the Firehole River. We move at a fairly brisk pace and this hike took us approximately 45 minutes to complete. Depending on how many stops you make to snap photos, you can add or subtract 15 minutes to that. Wear good hiking boots or shoes. 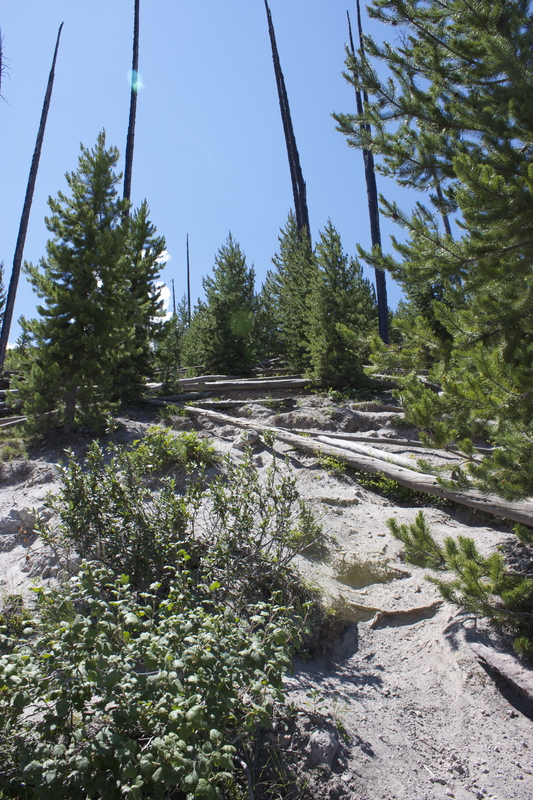 If you’re adamantly opposed to hiking uphill, this is not a good trail for you. 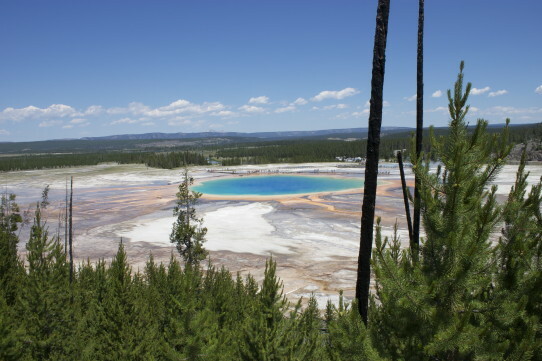 Making it halfway up the steep part of the trail may be good enough if you’re just looking for a good view of Grand Prismatic Spring. The parking lot at this trailhead is tiny so plan ahead if you want to find a space. Have you done the Grand Prismatic Overlook trail hike? What was your experience like?